Our guest bathroom is very outdated....we are talking like straight out of the mid 70s. 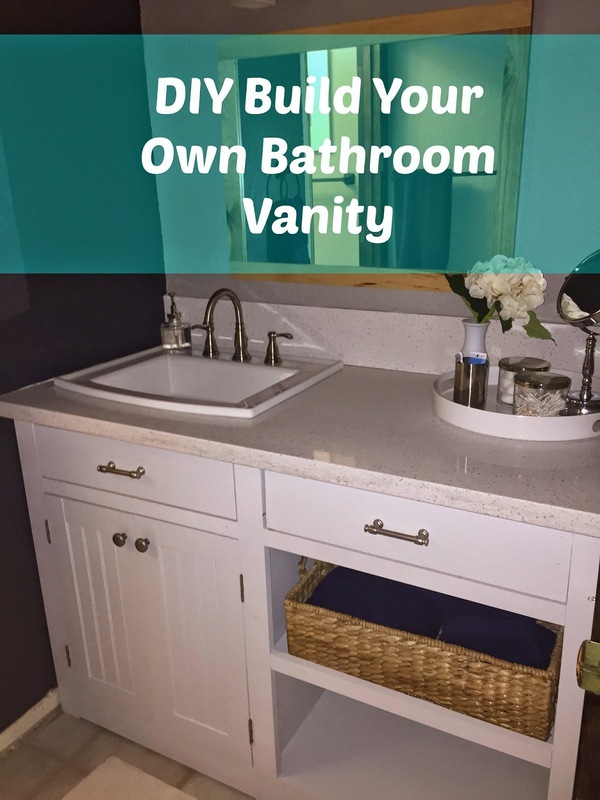 So it is past time for a bathroom remodel, but of course we are on a tight budget, so I decided to build the bathroom vanity myself. I looked all over Pinterest for inspiration and came across this idea from Ana White, if you haven't checked out her blog, you should! 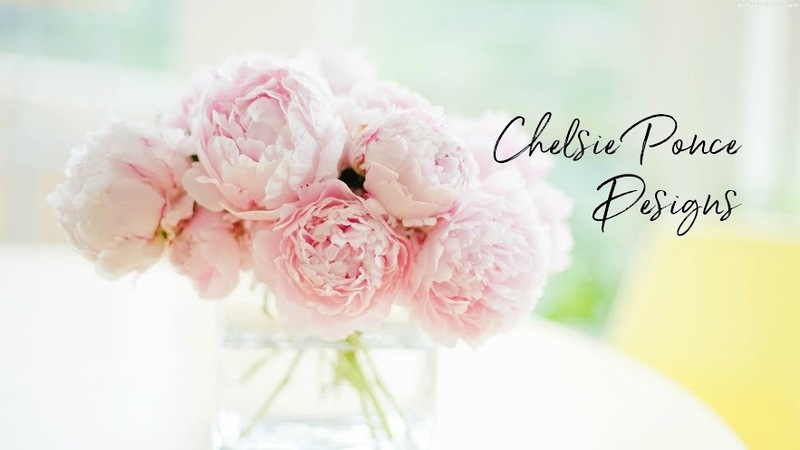 She has tons of cool, DIY ideas. I didn't follow her plan, but I did look it over to get a step by step idea of how to proceed with mine and what materials she used. I sketched up an idea for how I wanted ours to look. Our sink is on the left-hand side so I put two doors with a fake drawer on that side and open shelves with a working drawer on the right side. After doing multiple drawings, math and measuring, off to HomeDepot I went with my supplies list. I needed two 4x8 foot sheets of plywood for this project and I went with a 3/4 inch, cabinet-grade plywood in Pine for around $35 each. Terry at our local HomeDepot did all of my cuts for me, he's awesome! When I got home, I started by drilling my pocket holes on the underside of the bottom piece with my Kreg Jig. Then I attached the sides and middle piece using 1 1/4 in pocket hole screws and wood glue. Next, I attached the top. Because we are putting a (heavy) quartz countertop on this, I wanted to make sure it was strong and supportive. I measured out where I wanted the drawers to be and added a strip of my plywood for support, then started on the face frame. I used 1x3s for the vertical pieces, 1x4s for the bottom, and 1x2s to face out the drawer openings. I drilled pocket holes and used my Kreg Clamp to hold the wood together while I secured it with pocket hole screws. I attached the face frame with my nail gun and added another horizontal piece of plywood to support the back of my working drawer. For the drawer, I used the same 3/4 inch plywood as I did for the base of the cabinet (I had enough left over and I wanted it to be really strong). I drilled my pocket holes in the underside of the drawer bottom. Here's the finished drawer without the face on it. All of the pocket holes for the screws are hidden underneath or on the outside of the drawer so that when you open it, you won't see any holes inside. The sides and face of the drawer is attached from the outside and bottom. For the doors, I used 1/2 plywood for the center and glued some breadboard on the front side. I built the frame of the doors with 1x3s and put them together with 3/4 in pocket holes and 1 1/2 in pocket hole screws. I used clamps to hold the breadboard in place while the glue was drying. Next, I assembled the doors and filled all the holes with wood filler and used caulk in the seams. Then I primed and painted everything. After demoing the old cabinets and mirror, we slid the new cabinet into place and added the new countertop, sink and faucet. I love our new guest bathroom! And the best part is the price...the cabinet with hardware cost about $160 to build.